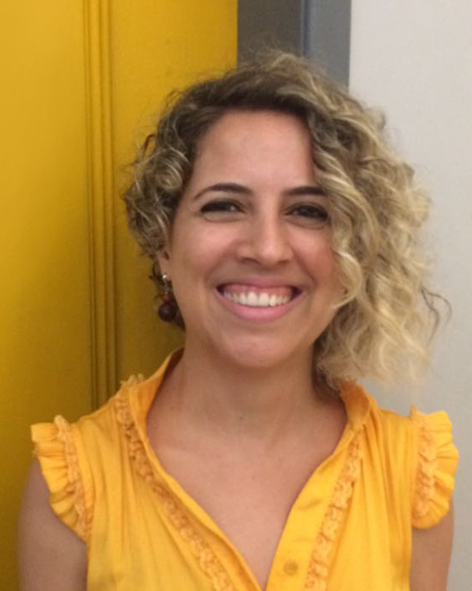 Lucília Borges is a Permanent Professor at the Federal University of Ouro Preto – UFOP/Campus Mariana, Minas Gerais State, Brazil. PhD and Master in Communication and Semiotics by Pontificial Catholic University of São Paulo (PUC/SP) and Graduated in Graphic Design at State University of São Paulo (UNESP/Bauru), she has been researching about the relation between music and design, which focuses on intersemiotic translation, listening and sensitive communication, since 1998. She studied piano during her childhood and adolescence and acted as pianist of university choir, whose experiences have provided her with the musical basis for the development of her research. As a designer, she worked with (graphic and web) design and art direction. As a researcher, since her master’s, she has been sponsored by Brazilian agencies for scientific and technological support. From her current position as Permanent Professor at UFOP, since 2012, she has been teaching Aesthetics, Sound Art and Graphic Design to Journalism students, with whom she has been creating art installations, performances and exhibitions. Currently, as a Visiting Researcher at McGill University, her research is focused on Art (music and art installation), Affective Technologies (sensors, biosensors and smart textiles) and Sensitive Processes of Communication (silence, listening and human body’s affections).